Although it’s still playing second fiddle to the FICO score, its popularity is rising. However, it will be in for a serious fight given FICO’s immensely successful marketing efforts over the past several decades. The first victory for VantageScore came with FICO’s failure to patent it’s 300-850 credit score range, though VantageScore has thus far chosen to go with its own scoring range. So what exactly is the VantageScore? Well, similar to the FICO score, it’s a credit score used by banks and creditors to assess consumer credit risk when making decisions to extend credit. And just like FICO, it has a credit score range, though instead of ranging from 300-850, it ranges from 501 to 990. 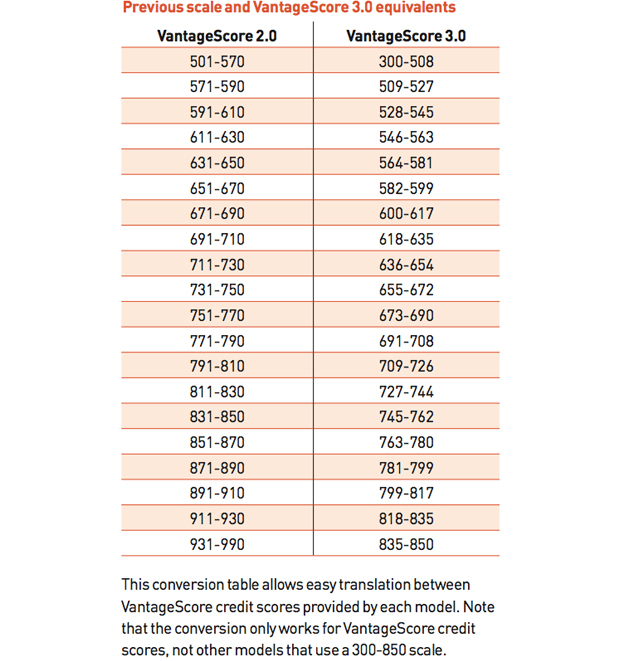 VantageScore also uses a letter grade, including A, B, C, D or F.
Similar to FICO scores, the higher your VantageScore, the lower your default risk. And vice versa. So consumers will want to shoot for the stars here as well. You can see your VantageScore 3.0 for free. But in reality, a 900 credit score is just barely in VantageScore’s “A” letter grade bucket, so it’s not necessarily as stellar as it seems. In fact, it would be a sub-800 FICO score. How Is a VantageScore Determined? Payment history is the biggest driver of the VantageScore, just as it is over at FICO, accounting for nearly a third of the scoring, as the pie chart above confirms. And credit utilization is the second biggest factor, again, just the same over at FICO, with a near quarter-share of the pie. In other words, if you pay your bills on time and keep balances low you’re halfway home. VantageScore breaks up credit utilization a bit more, looking at balances and the amount of credit available. Finally, depth of credit (credit history) and recent credit come into play, meaning it takes time to establish a solid VantageScore, and you should only apply for new credit sparingly. Pretty straightforward stuff really. VantageScore throws out negative authorized user data, and only considers the positive stuff, which means consumers don’t have to worry about someone else ruining their credit. This should give creditors a more accurate picture of your credit habits. It also doesn’t include medical debt unless it makes its way to collections, but has the ability to add utility and rent payment data to your score. Additionally, it’s a collaborative effort by the three major credit bureaus, meaning credit scores should exhibit a smaller range from bureau to bureau, important if a lender uses just one score or relies on your mid-score. After all, you don’t want one bad credit score to drag down the other two good credit scores, or worse yet, be the only one used. 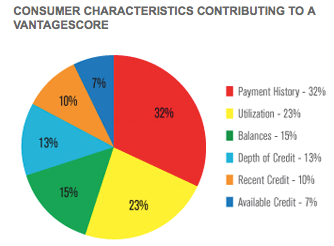 VantageScore has also designed credit scores specifically for bankruptcy and thin-file populations, and apparently has the ability to identify the “best of the worst” in each credit scoring segment. The hope is that this segmentation will drive more banks and lenders to use VantageScore. However, FICO is still the the frontrunner in the credit score world, so make it your focus when monitoring your credit score. Read more: How to raise your credit score.